If you sign up by before the end of the month, you can start with our January 2016 selections! 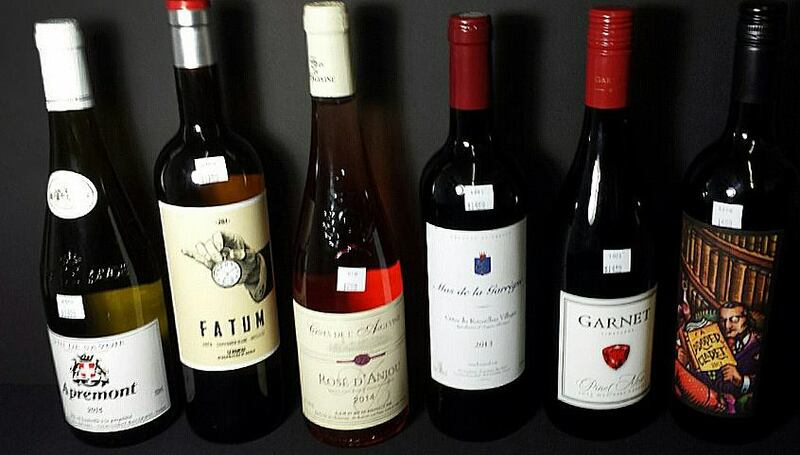 At Wine World representatives from our various distributors drop by throughout the week and bring wine to taste. When Dale and I tasted this Pinot Gris we both loved it immediately and ordered a few bottles, funny thing though, we already had it! Same vintage! (Dale must have tasted it already and bought some, before I came back to Wine World) Pinot Gris is the same grape as Pinot Grigio, but has a very different expression in Oregon. To my pallet this 2013 Pinot Gris has a wonderful delicate floral complexity, great for sipping or with lighter dishes, especially with a little spice and acidity maybe a thai-style squid or shrimp salad, a simple steamed whitefish on a bed of gently sauteed cabbage and mushrooms, seared scallops with garlic butter sauce and pasta, or how about chili lime chicken kabobs? This crisp Pinot Gris is loaded with pear, melon and peach that explode on the palate. This is essentially a Napa Valley Bourdeaux-style blend 57% Cabernet Sauvignon and 43% Merlot. We were impressed by the generous complexity of this wine. 2012 is a stellar vintage for California in general, this wine drinks wonderfully now, but promises to age nicely with full fruit, nice acidity and full, but silky tannins. 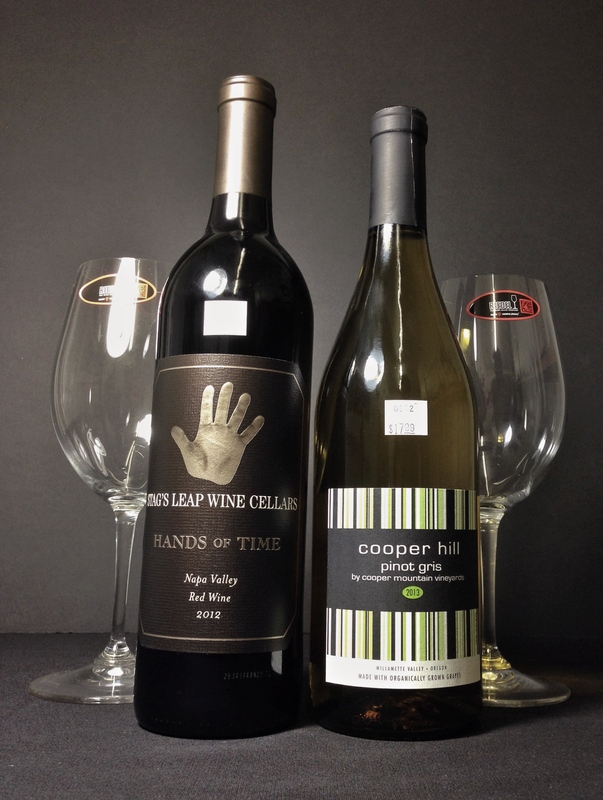 Stag’s Leap is a well known producer of quality Napa wines, and Hands of Time is no exception. history over the years and who have gone on to become celebrated winemakers and viticulturists in their own right. With a tradition of mentoring that dates back to our founding in 1970, Stag’s Leap Wine Cellars has been a springboard for many a storied winemaker’s career. This wine is a tribute to our alumni whose unwavering vision of crafting elegant and balanced wines has been passed down from teacher to student, and through the hands of time. 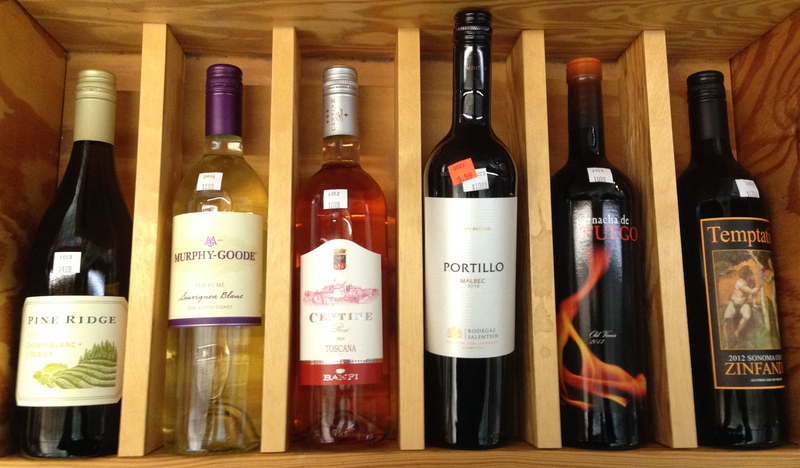 Third Thursday Feb. 18th Drop-In Wine Tasting! Aromas, fresh lemon, juicy honeydew, and sweet mango. Palate is crisp, mouth-watering, luscious papaya, yellow pear and ruby grapefruit. Thai curry, a sushi dish, spicy tuna roll. Bright citrus and lush tropical fruit aromas. Flavors of white peach and honeydew. Touch of oak intriguing “fume” personality. oysters, coconut shrimp, pad thai. Very aromatic. hints of woodland berries. rich berry flavors long crisp, clean finish. ideal as an aperitif. pairs perfectly with fish, poultry and young, mild cheeses. 80-90 year old vines. Fruit-bomb, it offers loads of strawberry and cherry fruit intermixed with hints of earth, spice and pepper, silky tannins, and a medium-bodied, delicious, savory mouthfeel. Pizza, rabbit, braised lamb shanks, goulash. Fruit of dense blackberries and blueberries, sour cherry and a floral character offset by peppery spice, cloves. Pairs well with red meats, roasted poultry, Mexican, Cajun, Indian and Italian. Tex-Mex, BBQ Brisket, Sticky Baby Back Ribs. $5 and a $3 rebate if you buy a featured bottle. 100% Jacquére grape. Light & fresh, this crisp white shows floral aromas & pear flavors with full mineral notes & excellent acidity. Serve with fondue. Mountain cheese & fruit. 80% Airen grape. Crisp & refreshing, balanced. Grilled sardines with green pepper. Chinese broccoli in oyster sauce, Garlic prawns. Herbed Pork loin. Braised Chicken thighs. Soft, fruity, lovely Rosé with a faint hint of sweetness. Raspberry color. Mellow, very supple & rich, red fruit flavor. Great with chicken curry. Roast chicken, seasonal salads. Lush body and silky texture. Aromas include ripe blackberries, cherry preserves, vanilla, hazelnuts. Flavors of dark red fruits & exotic spices. Lamb Stuffed Eggplant. Pizza. Grenache Noir, Carignan, Syrah. Aromatic. Ripe red fruits: cherries & raspberries & spice aspect. Round tannins. Smoked pork chops, rosemary potatoes,. Tuscan-style bean dishes. 46% cabernet sauvignon, 17% merlot, 15% tannat, 13% petit verdot, 8% syrah, 1% petite sirah. Creative blend suggests black plums, roasted red-bell pepper, chocolate, cranberries. Cedar & mint notes. Leg of lamb and Yorkshire pudding. Beef steaks Braised short ribs.